..towards the end of the first section.. 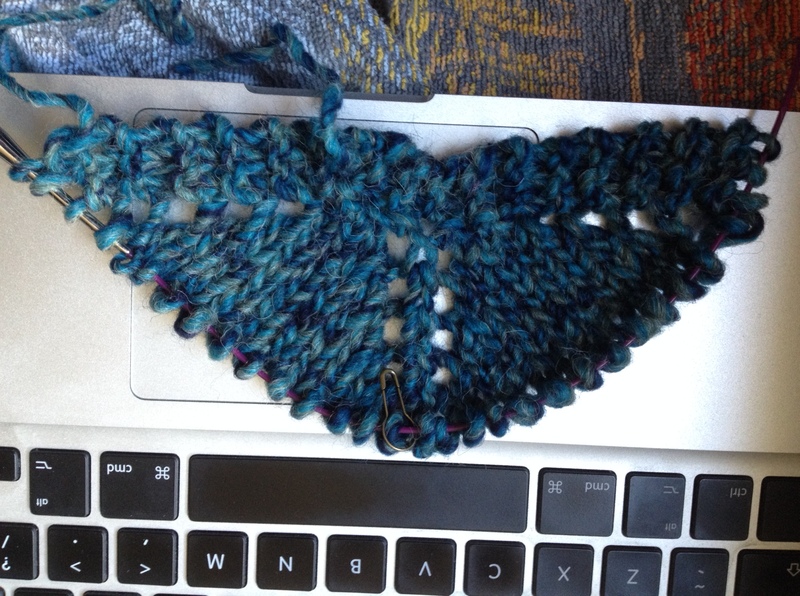 This entry was posted in knitting, Uncategorized and tagged Debbie Bliss Glen, Knitting, Old Shale Shawl, WIP. That’s awesome. I love the colours. Just had a look at the fibre in the posting before … Lovely, lovely, lovely stormy colours. just wonderful. I wasn’t expecting the colour to work so well, but I admit that I’m in love. I hope that the shading will keep following the pattern – I have quite a few balls of it in stash, so I should be able to adjust things a bit, should it be needed. I can’t wait to make some progress…. I really hope it will enhance the results, but to check that I will have to wait quite a few weeks… anyway, this round is over for now, so I’ll be enjoying a few days of laziness 😀 and how are you finding art school?